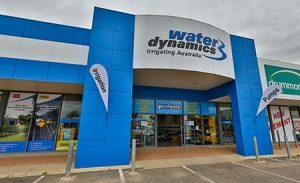 Water Dynamics Mildura is your Australian owned and operated irrigation specialist. Operated by local employees with over 150 years of collective experience in the irrigation sector, we are happy to help with all irrigation enquiries big or small. From the design and installation of complex commercial irrigation systems through to residential lawn irrigation systems and service, we have all of your irrigation needs covered. 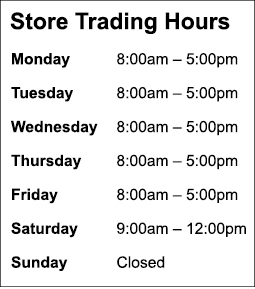 Our modern store, located at 760-810 Fifteenth Street, Mildura is fully equipped to handle all of your irrigation service needs, including pump repairs and testing. We have the largest range of stocked irrigation supplies in Sunraysia, from large irrigation systems to pumps, hoses and fittings. Even if you are not sure what you are looking or, pop in and our friendly irrigation experts will be able to assist you. We also supply a range of pool chemicals available in store and also test your water for free. 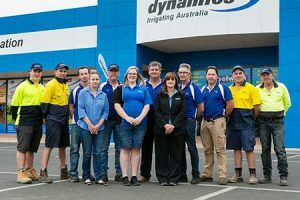 Our Mildura store has extensive expertise in irrigation in and around Mildura, particularly across citrus, grape and a wide variety of vegetable and nut farms. We work closely with a range of horticulture farmers to ensure their irrigation systems and design drives consistent quality produce, in the most cost-effective means possible. We have extensive experience in designing, suppling and installing the most practical irrigation system for all types of horticulture, including but not limited to, drip, micro and sprinkler systems. With a focus on saving you time and money, our knowledgeable technicians work hard to ensure your system is up and running perfectly in time for peak harvest season. 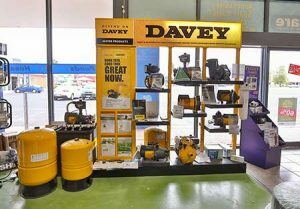 Our Mildura store specialises in the Davey pump range and have extensive experience in product selection as well as service and repair of the full range. At Water Dynamics Mildura, we understand the significance of ensuring your equipment has as little downtime as possible. We offer all types of services from preventative maintenance programs to emergency repair services. We have a fully equipped fleet of service vehicles, able to meet your service requirements on-site wherever possible. By bringing skilled mobile service technicians to your site promptly, equipped with the necessary tools Water Dynamics Mildura can help you get your equipment back up and running in no time. We have a certified irrigation designer as part of our in-house team, able to custom design any irrigation system perfectly suited to your topography, soil type, water resources, water emission rate, crop type, growing media, climatic conditions and your personal or business requirements. No matter the task, Water Dynamics Mildura are your trusted local irrigation specialists, able to meet all of your irrigation requirements.